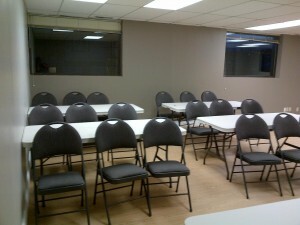 Regina First Aid is the leading training service provider of St Mark James first aid training classes in Regina. Registration for courses is quick and hassle-free, with refresher / re-cert courses for expired certification available as well. Courses are available on both weekends and weekdays at the main training centre. Trainees are offered a wide range of full courses, stand-alone classes, private classes, and refresher courses in first aid, cardiopulmonary resuscitation (CPR), and automated external defibrillation (AED) for the lowest course rates. To register for first aid training classes move to the bottom of the page to view the on-line registration form. You may also register by using the contact information posted just below. After selecting a training course on the Regina First Aid website, trainees can compete their enrolment using the registration form on the same webpage. Telephone calls, e-mails, and walk-ins at the training centers are also highly encouraged by Regina First Aid’s very helpful staff. 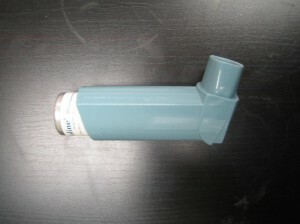 Students taking St Mark James first aid training classes in Regina will learn to help victims use asthma inhalers. Trainees who are able to complete a training course are awarded a St Mark James training certificate for first aid, CRP, and AED, valid for three years throughout Canada. CPR-only classes are available in three levels, all levels inclusive of training in the use of automated external defibrillators. Basic first aid classes are very comprehensive, allowing trainees to learn a wide skill set for different emergency situations and injuries. The most popular topics requested in first aid classes are choking emergencies, bleeding emergencies, and asthma attacks, among others. Trainees with expiring or near-expiry certificates can renew them through refresher courses, held twice a week at Regina First Aid. Refresher courses generally have a lighter course load than regular classes. Though training courses are available throughout the week, including evenings and weekends, private classes are also available to trainees. Big groups and companies can choose to enrol in private classes with separate training schedules. Regina First Aid offers trainees the most affordable course rates in Regina. Rates are inclusive of taxes, certificates, St Mark James registration fees, training manuals, and use of training equipment. No other provider offers better deals than Regina First Aid. Courses are taught in high-end training facilities, with spacious classrooms outfitted with the latest training equipment in first aid, CPR, and AED. The training centers are easily accessible, within walking distance to public transportation and private parking. Note: If the object embedded in the wound is small, try removing them with tweezers or under running water. Assist the victim to lie or sit down. Place the affected area above the level of the heart. Do not pull out the object. Leave it in. Try and stem the bleeding but putting firm pressure on the sides of the wound. Cover the object and wound with sterile dressing such as gauze or a clean piece of cloth. Stabilize the object by building padding around it. Call your local emergency number or bring victim to the hospital. Learn how you can handle different injuries and possibly save someone’s life with Regina First Aid. Enrol in a training class today!